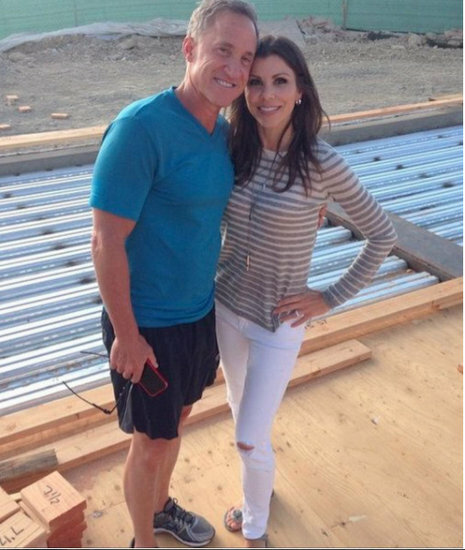 Heather Dubrow Has Moved Into The Mansion! Talks RHOC, Family Drama, And If Kelly Dodd Was Set Up! 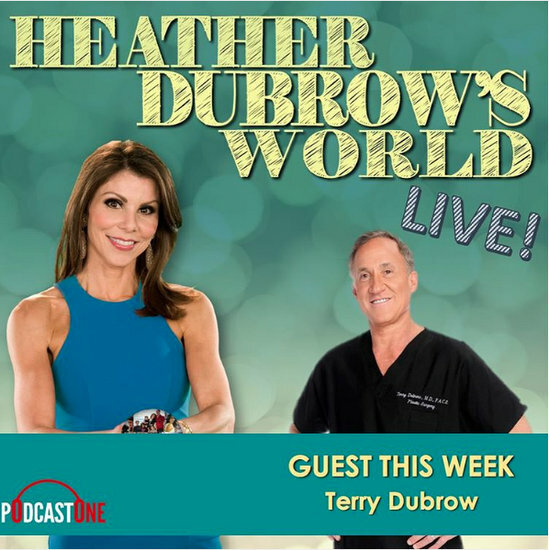 Heather Dubrow‘s podcast was live from the Irvine Improv this week, featuring special guests Terry Dubrow (wait – I thought they never saw each other!?). Heather was so excited by the how many people came, but faux pas – they ran out of champs! “Someone needs to make a Costco run,” she joked (I think). Heather took questions from the audience about Real Housewives Of Orange County, meanwhile Terry dished on Botched, and his late rockstar brother. Then back in the studio Heather spilled the dirt on That Seventies Party, and if it was truly as bad as it looked! Heather Dubrow will not be silenced! Weighing in on last night’s Real Housewives Of Orange County episode via her podcast, Heather Dubrow’s World, Heather shares her opinions on Kelly Dodd‘s bizarre intimacy with Vicki Gunvalson, what’s up with Terry’s crazy schedule, and then discusses Jeff Lewis body shaming her and why she’s embarrassed by her reaction. Heather also admits how constant body criticism affects her self-esteem. Thankfully, Heather did not dissect Vicki’s non-pology to Shannon Beador, or anymore about Brooks. Just my two cents before we dive in: I don’t think Shannon should forgive Vicki – of all the women who Vicki betrayed with Brooks’ scam, Shannon was hit the hardest (on top of David’s affair), and truly was a friend to Vicki. I want to stop discussing Brooks, but it seems the scab just continues to fester amongst the cast and they aren’t ready to move on from what happened. Heather Dubrow Says Her Friendship With Tamra Judge Is Real; Explains Why She Loves Her! Surely I am not the only person wondering how in the world Heather Dubrow is friends with Tamra Judge, right? I mean, what do they really have in common other than Real Housewives Of Orange County? Heather is classy; Tamra is … not. Heather is rich; Tamra is … able to afford all of Ryan’s bills plus her own. You get the picture! “Yes we really are,” insists Heather, (she shows Sabrina texts Tamra had just sent her). Apparently they hit it off the first day they filmed together and the rest is history. Heather Dubrow isn’t too thrilled with some of the ‘revelations’ shared by producers on last night’s behind the scenes episode of Real Housewives Of Orange County season 8 – namely that she tried to get Alexis Bellino fired. Season 8 was Heather’s second season on the show and one comment production made was that Heather was basically forced into it by her husband Terry Dubrow, and was eager and anxious to get Alexis replaced with one of her friends. On her podcast Heather Dubrow’s World, she insists none of that is true. Heather Dishes On Her Book, Her House, Botched, And RHOC On Heather Dubrow’s World; Terry Wants To Sell New House? This week on Heather Dubrow’s World, Heather Dubrow gave fans an update on her new book, announced the return of Botched: Post Op, talked (almost) moving into her shopping mall new house, and more. Let’s start with the positive: Heather Dubrow looked gorgeous at The Abbey’s sixth annual tree lighting to commemorate World AIDS Day in West Hollywood earlier this week. Now the negative: Heather spent her time there talking about Vicki Gunvalson and Brooks Ayers. Heather Dubrow now has three episodes of her podcast, Heather Dubrow’s World, under her belt, and I have to admit, I have enjoyed each one of them. She’s a natural. This week, Heather chats with Paul Nasiff and Terry Dubrow, who ironically were not as easy to book as we would expect, about Botched. Heather Dubrow’s Podcast ‘Heather Dubrow’s World’ Is Topping iTunes Chart! Heather Dubrow is on fire right now! The Real Housewives of Orange County star has been a busy busy bee since filming ended for season 10. Heather has not only been supervising the building of her mega-mansion with Dr. Dubrow, she’s been co-hosting a successful after show for his E! series, Botched, called Botched: Post Op, then there’s the new skin care line she and Terry launched. Heather also debuted a podcast recently – Heather Dubrow’s World – and it’s already a smashing success. Heather shared yesterday that her podcast is #3 on iTunes already! After just one episode.